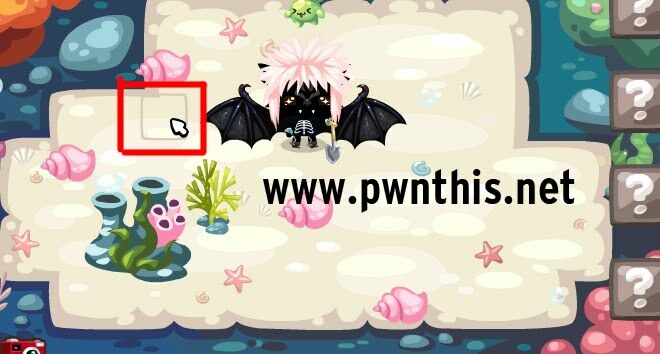 Download Pets3.2.45-EzDig.swf from the links above. Read this first: Latest version of 100% digging success. I have changed the rule editor to a regular expression so it will work even if future database version changes. Also because the server has a counter for the number of times you are considered "cheating", once the timer hits a limit, it will temporary ban your account. Usually for 24hours only. Details are not really visible on client side so its difficult to know exactly what will trigger this counter, but this is the reason why some people get banned after 5 digs or 15 digs or never get banned ever. Enter Digging Lands and hover your mouse over to "scan". If a gray square appears, click it. If no gray square, do NOT click.